Denturists are professionals specifically educated to serve patients who have suffered from tooth loss by providing these individuals with personalized, affordable removable prosthetics. The need for these services in Michigan is critical and is not being met by the current dental community. 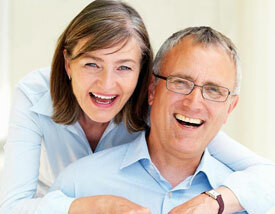 Many of those suffering from tooth loss are older and poorer populations. Everyone has a right to low cost denture care,and licensed denturists are the solution to Michigan’s edentulous population. Studies show that low income individuals often view dentistry as an unaffordable luxury. The high cost of visits to dentists and prosthodontists and dental procedures is a financial burden for those seeking care. Low income individuals grow accustomed to oral heath problems and unfortunately begin to accept them as an untreatable fact of life. Denturists are professionals that offer an affordable alternative to high-priced dentures created by dentists and prosthodontists. It is due to the dentist monopoly that the cost of oral prosthetics is out of reach for many. Costs are much lower in states with licensed denturists. Lack of access to dental care is not just a problem for the poor. More and more middle income Americans, even those with dental insurance, are finding that going to the dentist for even routine and preventative care is not a possibility due to the cost. Denturists serve patients that dentists and prosthodontists do not see. Denturists would add to the dental professionals available to serve Michigan citizens and would free dentists to care for other patient needs. With more training in removables than dentists, licensed denturists have the education and experience to better serve these groups. Join the movement in Michigan to provide this ACCESS TO CARE for all by recognizing that Denturists have a place alongside Dentists in the Dental community!